When you come to Bethel you can expect to be greeted warmly and genuinely. We have no interest in “growing our organization.” Our interest is to see people grow in Christ. 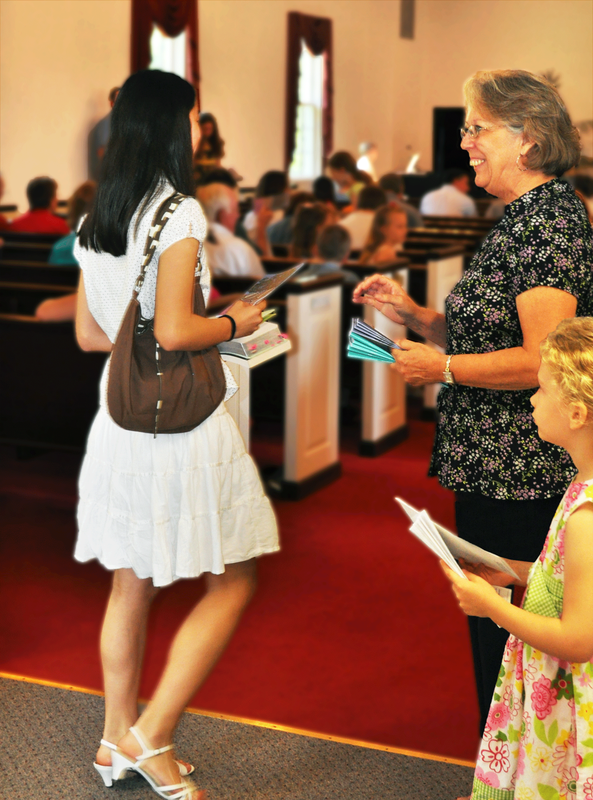 On Sundays at 9:45 a.m., we have a program of Christian education for ages Pre-K to adult. Nursery is provided for infants and toddlers so parents may attend classes too. If you’re not sure where to go, just ask. We'd be glad to help you. Worship begins at 11 a.m. Before that time, the sanctuary is abuzz with the sounds of warm fellowship and an eager anticipation for worship. After announcements one of our deacons helps prepare our hearts for worship by reading from God’s Word. Children are encouraged to attend the worship service; however a nursery is available for children four and younger if assistance is needed. After worship, expect warm and prolonged fellowship in our fellowship hall around coffee and light refreshments. If you are open to the Spirit of God’s work in your life, expect growth in grace and opportunities for service to the Lord and others in his name.